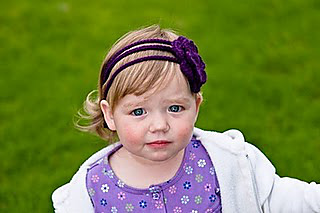 This headband is so popular right now! Make your own, and sell them if you like! 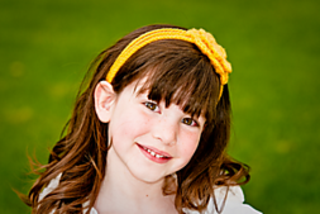 The Sunny 3-strand headband is the perfect headband for any type of hair! Each flower is attached to three strands of crocheted yarn that ties behind your head for a secure fit. Flower is NOT detachable. 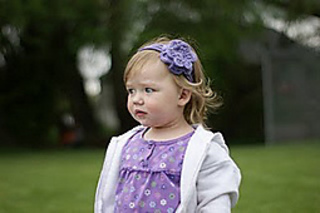 Headband can easily be made larger or smaller and will fit anyone from a newborn to adult. Instruction are given to the attach the flower to the strands, but if you like, it can easily be altered to allow flower to slide along headband.